Inhabitat readers know that good design can save the world – but did you know design could also save your life? Engineers, designers, and hackers around the world are harnessing cutting-edge developments in material science, biotechnology, and robotics to roll out new solutions that help people live healthier, longer lives. From a device that can seal a bullet wound in 15 seconds to flying ambulance drones and contact lenses that monitor your health, read on for 6 futuristic healthcare designs that could save your life someday. For serious wounds like gunshots or shrapnel blasts, immediate treatment can spell the difference between life and death. 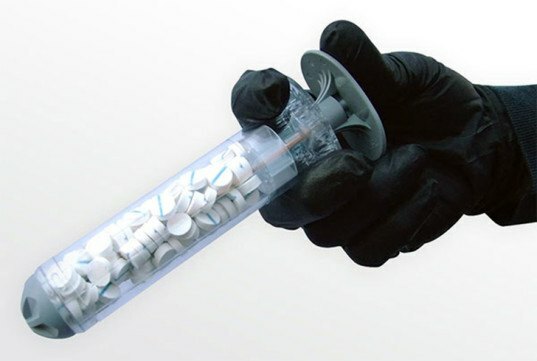 The XStat is a pocketable syringe filled with rapidly-expanding sponges that can seal a gunshot wound in 15 seconds flat. Once injected, the sponges control bleeding better than a tourniquet, buying precious time for victims to be transported to a hospital for surgery. Diabetes affects one in every 19 people on the planet. Those affected by the disease must constantly monitor their glucose levels (often with a painful finger prick) – but a new smart contact lens developed by Google X could change that forever. The lens uses a miniature glucose sensor and a tiny wireless chip to monitor vital signs once per second – and future versions will be able to alert wearers when their glucose levels rise or fall beyond certain thresholds. Did you know that on average ambulances take 10 minutes to get to the scene of an accident? The Ambulance Drone can deliver life-saving aid much quicker by taking to the sky. The drone is packed with an all-purpose medical kit, a defibrillator, CPR aids, and a camera that allows emergency response teams to direct bystanders to administer critical aid until an ambulance arrives. Today’s pacemakers are far from perfect – but a new technology developed by the University of Illinois at Urbana-Champaign could revolutionize the life-saving devices. The team came up with an ultra-thin, stretchable membrane lined with sensors and electrodes that wraps the heart like a glove. The custom-fit pacemaker is able to track the heart’s processes with unparalleled precision, and it can apply electrical stimuli to different locations to keep it beating at a perfect rate. Diabetics must keep constant tabs on their glucose levels – but the traditional finger prick test is uncomfortable, inconvenient, and imprecise. MIT has a brilliant alternative: Glucose-monitoring tattoos! A team of researchers developed a nanoparticle “ink” that fluoresces when glucose levels are low. The ink can be tattooed onto a patient’s skin and then monitored with special wristwatch to indicate emergencies. Every day roughly 79 people receive organ transplants – however 18 people die each day due to shortages of donated organs. 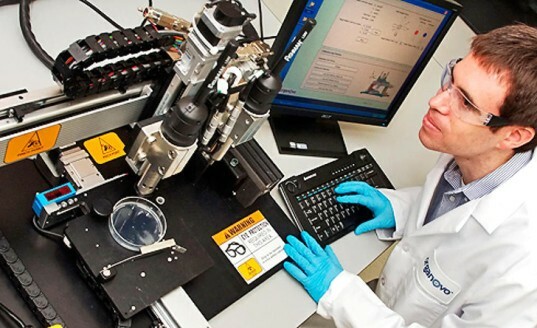 San Diego-based biotech company Organovo is harnessing 3D printing technology to address the situation by creating living human organs from scratch. So far the company has developed a tiny human liver that offers a humane alternative to animal testing for drug research. This post brought to you by Humana. Click here to learn more. 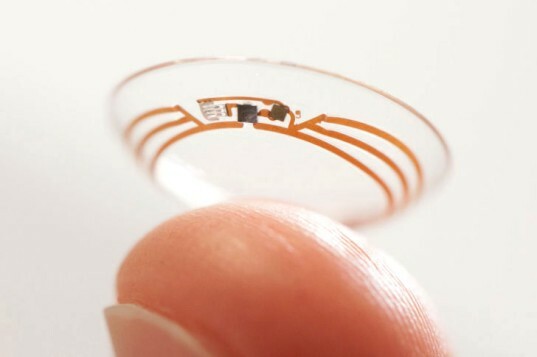 Google's smart contact lens monitors body health Diabetes affects one in every 19 people on the planet. Those affected by the disease must constantly monitor their glucose levels (often with a painful finger prick) - but a new smart contact lens developed by Google X could change that forever. The lens uses a miniature glucose sensor and a tiny wireless chip to monitor vital signs once per second - and future versions will be able to alert wearers when their glucose levels rise or fall beyond certain thresholds. XStat syringe stops bleeding in 15 seconds For serious wounds like gunshots or shrapnel blasts, immediate treatment can spell the difference between life and death. The XStat is a pocketable syringe filled with rapidly-expanding sponges that can seal a gunshot wound in 15 seconds flat. Once injected, the sponges control bleeding better than a tourniquet, buying precious time for victims to be transported to a hospital for surgery. 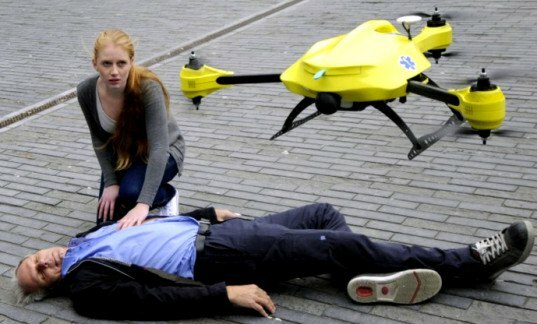 Ambulance drone provides first aid in just one minute Did you know that on average ambulances take 10 minutes to get to the scene of an accident? The Ambulance Drone can deliver life-saving aid much quicker by taking to the sky. The drone is packed with an all-purpose medical kit, a defibrillator, CPR aids, and a camera that allows emergency response teams to direct bystanders to administer critical aid until an ambulance arrives. Next-gen pacemaker wraps the heart like a glove Today's pacemakers are far from perfect - but a new technology developed by the University of Illinois at Urbana-Champaign could revolutionize the life-saving devices. 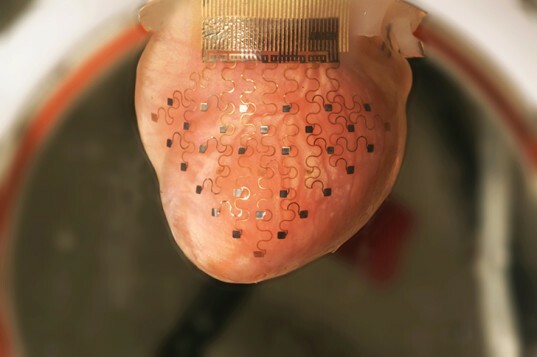 The team came up with an ultra-thin, stretchable membrane lined with sensors and electrodes that wraps the heart like a glove. The custom-fit pacemaker is able to track the heart's processes with unparalleled precision, and it can apply electrical stimuli to different locations to keep it beating at a perfect rate. Nanoparticle tattoos monitor glucose levels in diabetics Diabetics must keep constant tabs on their glucose levels - but the traditional finger prick test is uncomfortable, inconvenient, and imprecise. 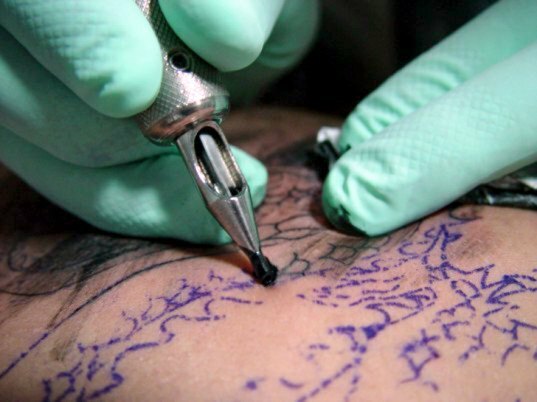 MIT has a brilliant alternative: Glucose-monitoring tattoos! A team of researchers developed a nanoparticle "ink" that fluoresces when glucose levels are low. The ink can be tattooed onto a patient's skin and then monitored with special wristwatch to indicate emergencies. Organovo creates 3D-printed organs Every day roughly 79 people receive organ transplants - however 18 people die each day due to shortages of donated organs. San Diego-based biotech company Organovo is harnessing 3D printing technology to address the situation by creating living human organs from scratch. So far the company has developed a tiny human liver that offers a humane alternative to animal testing for drug research. Inhabitat readers know that good design can save the world - but did you know design could also save your life? Engineers, designers, and hackers around the world are harnessing cutting-edge developments in material science, biotechnology, and robotics to roll out new solutions that help people live healthier, longer lives. From a device that can seal a bullet wound in 15 seconds to flying ambulance drones and contact lenses that monitor your health, read on for 6 futuristic healthcare designs that could save your life someday.